Hello and welcome to this week’s Math Munch! I’m Mai Li, a current college student, and a former student of your regular team. I’m really happy to be making this week’s guest post! 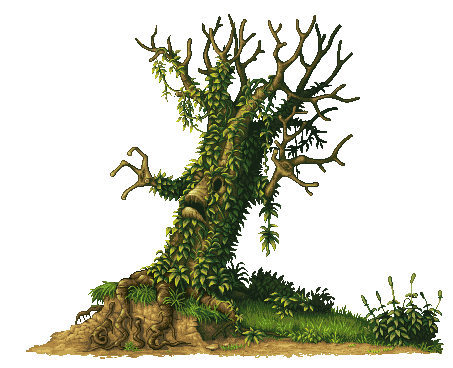 Today we’re going to be talking about one of my favourite topics, pixel art! When I was a kid, the Game Boy Color came out. 15-bit graphics! No idea why 15. It had impressive 15-bit color graphics, a huge step up from the 2-bit graphics of the original Game Boy. 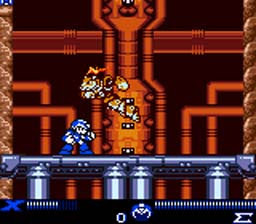 Just looking at the graphical difference between the original MegaMan on the Game Boy, and MegaMan Xtreme on the Game Boy Color, you can tell that 15-bit offers a much larger color variety than the mere four colors available with 2-bit graphics. But what exactly does it mean to be 15-bit, as opposed to 2-bit? 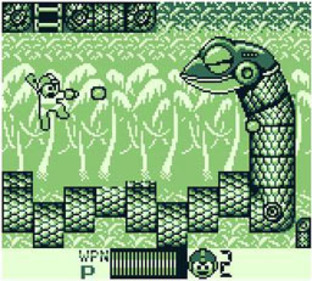 2-bit graphics, in this “pea soup” color scheme. Well, what’s a bit? A bit is a single piece of information that can be stored by a computer, either a 1 or a 0. A 1-bit system can have up to two whole colors! Either color 1, or color 0. Take Pong, for instance. Let’s say the color scheme is black and white. Now, white can be color 0, and black can be color 1. The pixels making up the paddles, the ball, the board, and the score are color 0, and the background is color 1. Pretty simple! But what if we want more than that? 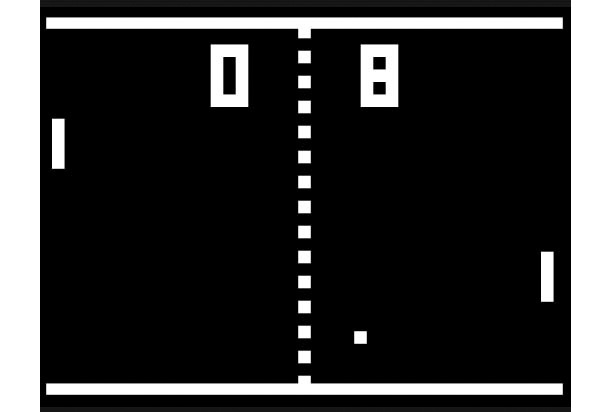 Pong, the oldest game many people are familiar with. 1-bit colors! In comes 2-bit, to the rescue! The Game Boy had a 2-bit color system, usually four shades of green. As you might have guessed, this mean that each color had two pieces of information, two “bits,” for a total of four possible combinations- 00, 01, 10, 11. And there you go! Four combination, four colors, just like that. For each bit, there are two possibilities, so the number of total colors available is 2^2. That means that for a 15-bit system like the Game Boy Color, there are 2^15 available colors! That comes out to a palette of 32,768 colors! Although the Game Boy Color was only physically capable of displaying 56 different colors simultaneously, you can understand now why 15-bit looks so much nicer than it’s earlier 2-bit counterpart. Now that you know what 8-bit means, you probably want to make your own pixel art, so here are some programs to help you do just that: Piq is a simple program that is available online, without downloading. GraphicsGale is favorite of mine, however it is only for windows. If all else fails. GIMP is a free Photoshop alternative. One of my all time favourite artists, Fool. 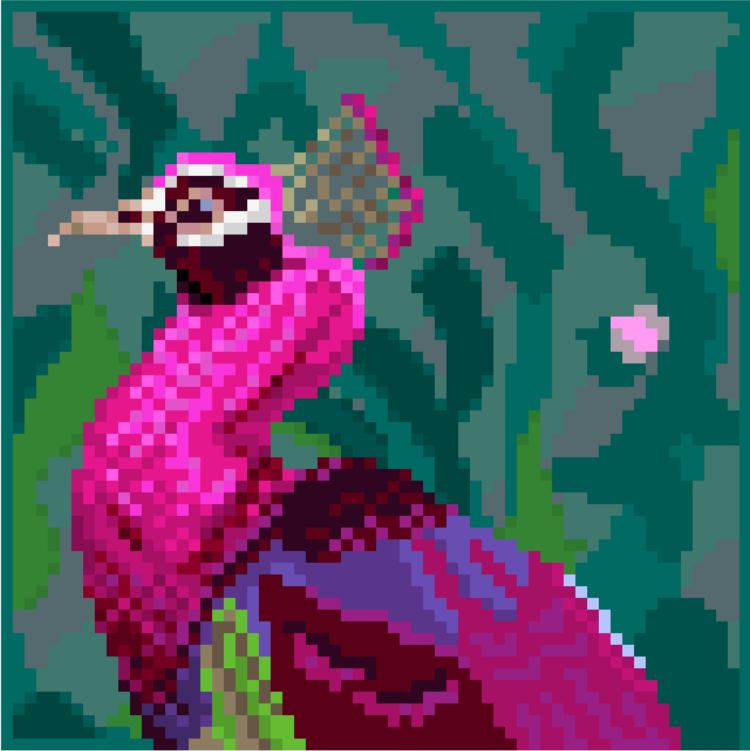 8-bit is a popular art style these days, and one I often work in myself. 8-bit is 2^8, or 256 different colors. Now days, this rule of 256 colors or less is entirely a stylistic choice, as computers and consoles can work with a much higher color resolution. Many artists, however, will limit themselves to even less than 256 colors, for aesthetic and color theory reasons. In addition, artists might also use a space constraint, like using a canvas that is only 256 pixels high and 256 pixels wide. Besides the limited number of colors, many people consider works to be pixel art only if each of the pixels was hand placed by the artist, read: no Photoshop filters. Because of this, pixel art is often limited in size, simply due to the amount of time it takes to hand place each pixel. Two of my favourite pixel artists are Fool, and Pixelatedcrown. My own artwork can be found here. By Pixelatedcrown, who’s work I adore. She also does 3D modeling and game dev stuff. Retro graphics are making a comeback, and I have to admit I love it. I’m going to shine a spotlight on one of the new games that I think has some of the best retro graphics I’ve seen in a while – Shovel Knight. Shovel Knight must rescue his friend Shield Knight in a timeless tale of shovelry. 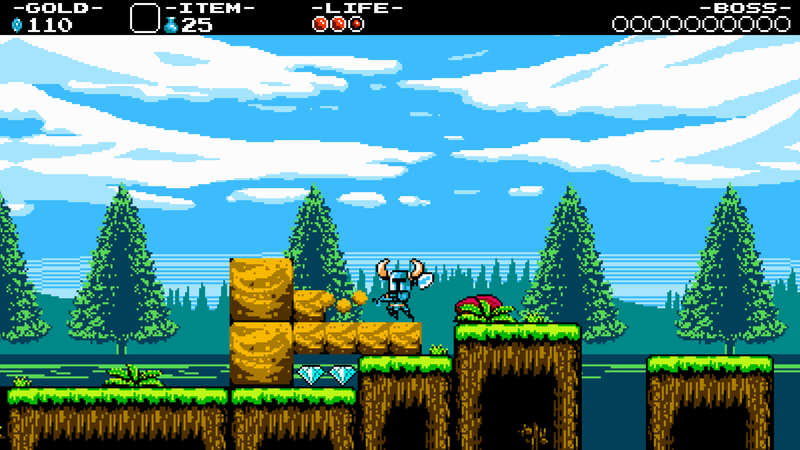 Looking and playing like something akin to an SNES platformer, Shovel Knight explores an attractive 8-bit world to find his partner, Shield Knight. Although the game itself is ten dollars (and totally worth it), a first impressions video by one of my favorite Youtubers, Rockleesmile, is completely free. The video is part of his Indie Impressions series, which covers a new indie game daily, and which I adore. If that’s not enough, he has a playthrough of the entire game available, if you just need to see all the graphics right now. And if you do, who could blame you? Finally, an unexpected use of pixel graphics: to contact aliens. No, I’m not kidding. We sent this into space. No kidding. The Arecibo Message was a radio message sent into space in 1974 after the remodeling of the Arecibo Radio Telescope in Puerto Rico. The message, aimed at the globular star cluster M13, which is approximately 25,000 light years away, was mostly sent to prove that we could. Although scientists don’t really expect to hear anything back (and even it we did, it would spend 50,000 years in transit alone! ), the message contained information that we thought would be important for aliens to know about us. The entire message is about 210 bits, and is in 1-bit resolution! Try and see if you can figure out what it’s trying to explain. If you can’t, the wiki page explains it all. And check out this Mental Floss article all about it! Speaking of which, if you want to de-code more alien messages, check out the Cosmic Call, a longer message sent by telescopes in Texas in 1999. I was given the message as a sixth grader, and with some friends, was able to decode the first few pages so I highly suggest giving it a try! The Cosmic Call! Are you smarter than an alien? It’s generally the same idea as the Arecibo message, but it’s easier to de-code, and they sent it to many more star systems, in hopes of a response. If you were an alien and you received this message, could you understand it? I think so, but you should really see for yourself. Thanks for reading! Bon appetit!